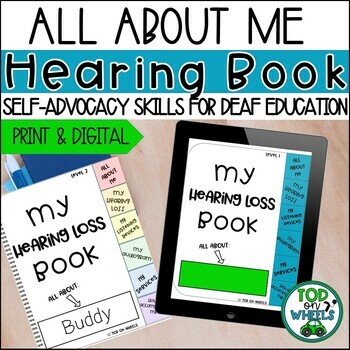 Strengthen self-advocacy skills creating this book all about your student and their hearing loss! There are TWO levels of the book so you can choose which would be best for your student. Students can use these books to present to their class, IEP meeting, bring home to family, culmination of the school year or more!